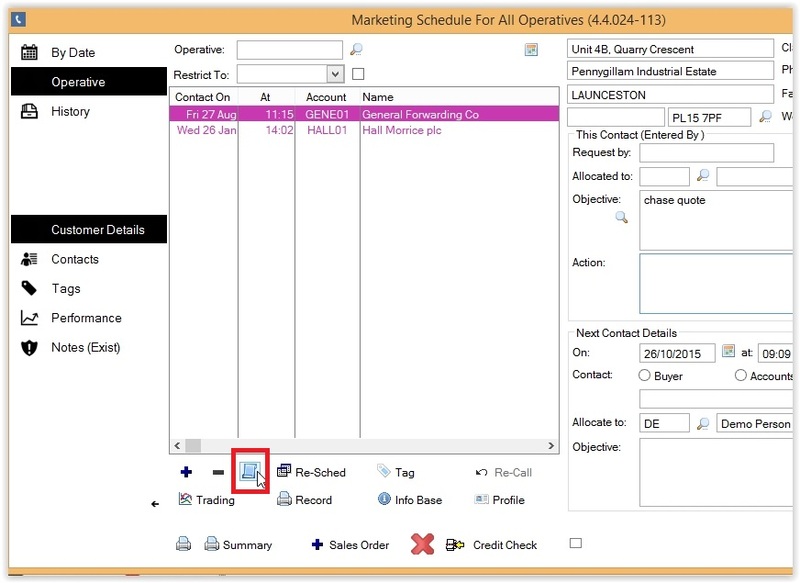 Inputting a Customer/Prospect into Scheduler. 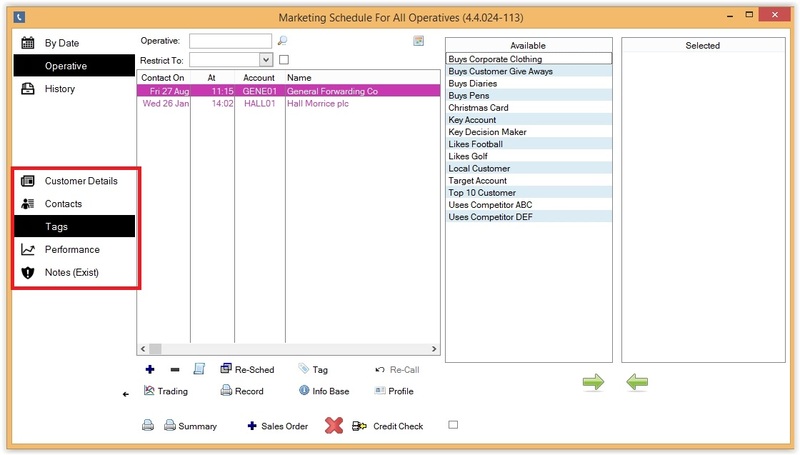 Before you can use scheduler you must have loaded customers or prospects into scheduler. 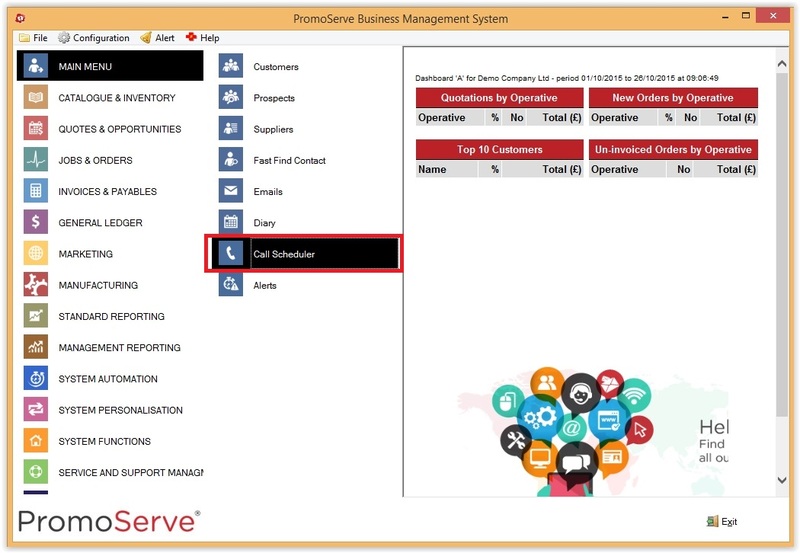 This can be done individually from the customer/ prospect database or via mass update through campaign planner. Your schedule will be on the left in chronological order and a record card of the appropriate contact will appear on the right. Highlight the entry you want to work on; it should be first in the list. The cursor will be flashing in the action box to prompt you to record in your contact. Finally you must select the next action or the entry will remain at the top of your schedule. 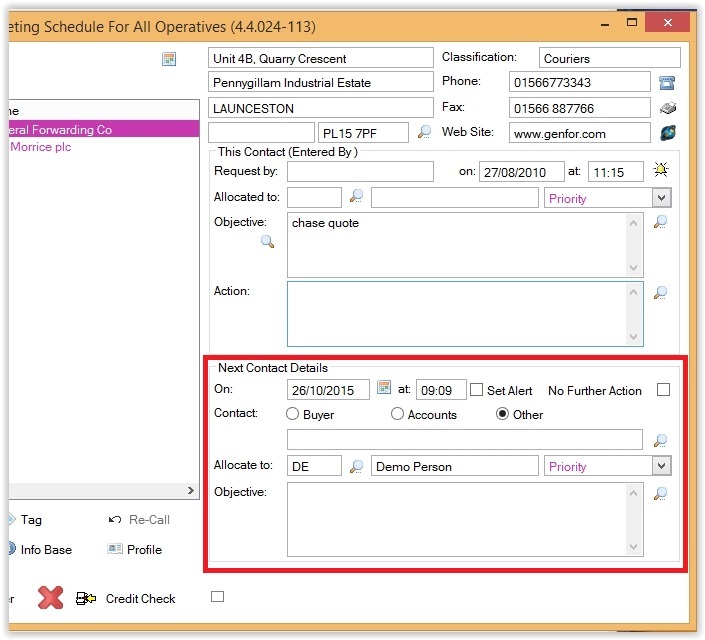 You can either suspend contact or select the next proposed contact date. YOU MUST CHOOSE ONE OF THESE. Always update Products of Interest. Once you have finished updating your record, save your changes by clicking on the next contact in your list. 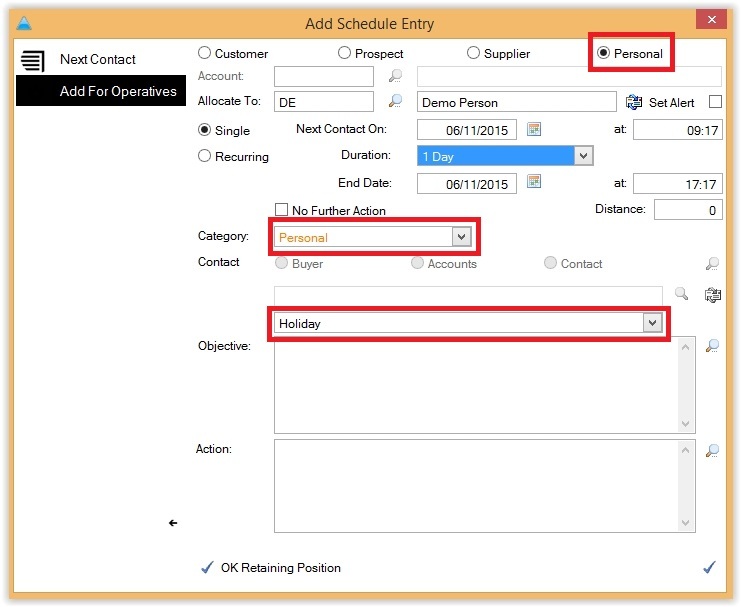 The previous entry will then either move to your next contact date or be removed from your scheduler. To add a personal note or reminder, click 'Add Schedule Entry' at the bottom of the schedule. You can then alter the date, time, and add the details you want to note. 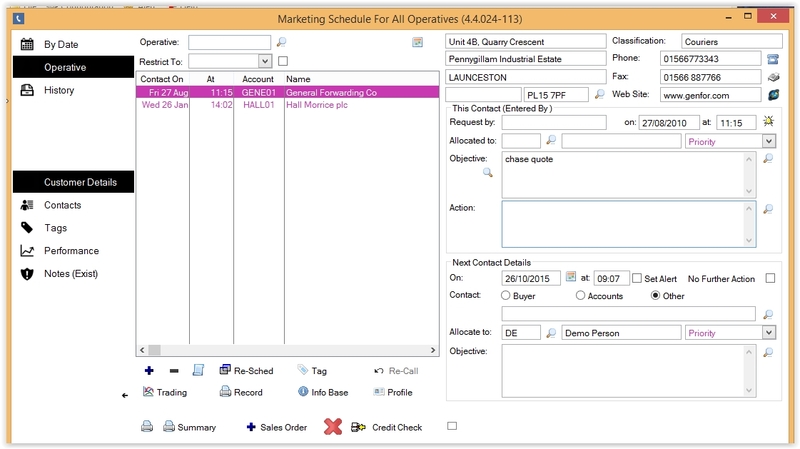 Daily Task Sheet: as above but simply select only the date you want a call list for. 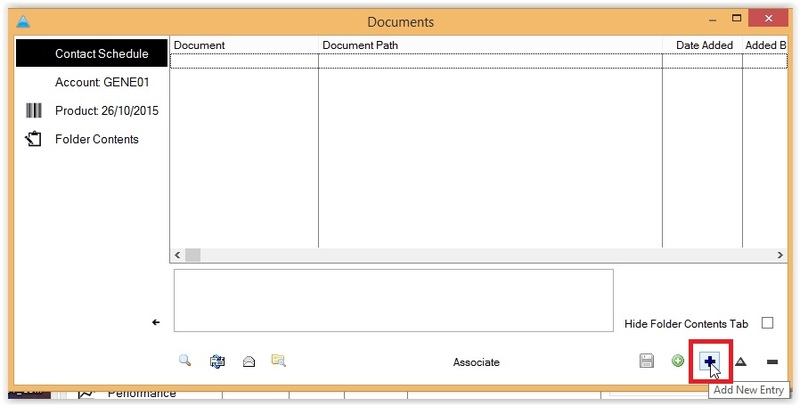 By Date gives you all the activity with your organisation for whatever date you select.